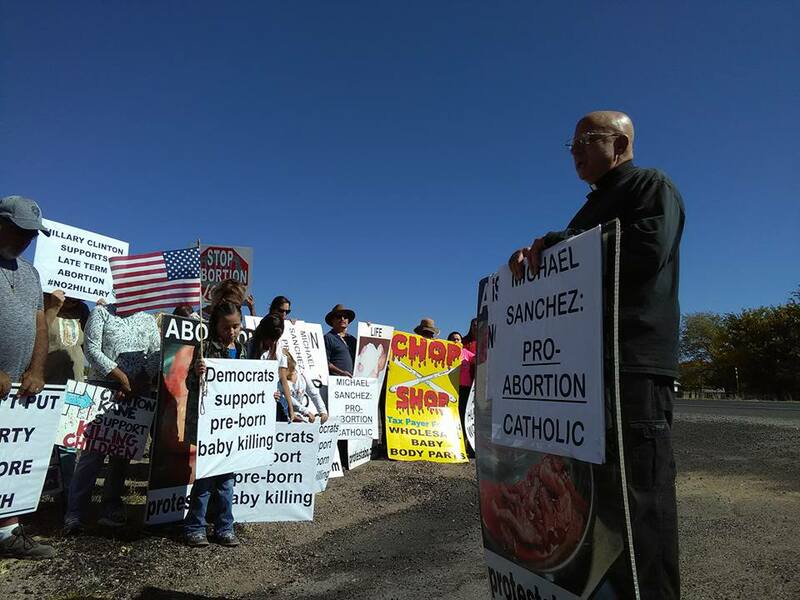 Belen, NM – Statewide early voting kicked off on Saturday, October 22, 2016 across New Mexico, so Protest ABQ went to Belen New Mexico to Protest NM State Senator, Michael Sanchez. Sanchez is yet another pro-abortion Catholic Democrat who is betraying his Christian faith by putting the Democrat party before his faith. Michael Sanchez’s Senate seat is being challenged by Republican, Greg Bacca. In New Mexico we are hoping to #DrainTheSwamp of career politicians like Michael Sanchez (Senator since 1993!) who’s putting the agenda of special interest groups who are funding his campaign, ahead of the best interests of New Mexico’s most vulnerable children, those living in the womb. 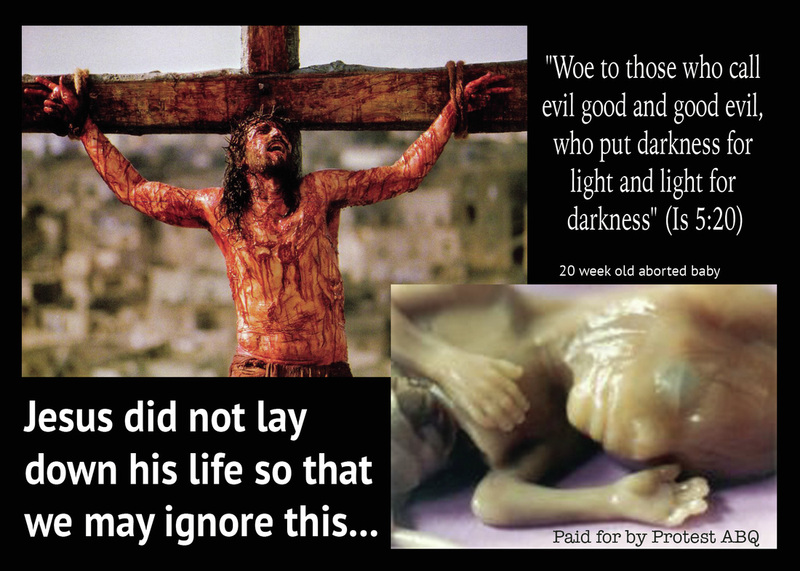 We prayed twice for him that he would put his Catholic faith before political agenda; that he put our unborn babies before Planned Parenthood’s money. who once again in his speech reminded us he “doing the right thing” by standing with New Mexico Women and Families on access to reproductive healthcare [KILLING BABIES], No Matter What! Senator Michael Sanchez is the Senate Majority Leader and he’s the radical pro-abortion extremists greatest champion! He’s been honored by Planned Parenthood (the nations largest abortion provider) and is funded by Albuquerque’s Abortion Cartel. For the money he receives from them, Senator Michael Sanchez ensures that pro-life bills introduced during the legislative session go to “kill committees” which are comprised of more radical pro-abortion members than those who are reasonable and have common sense. 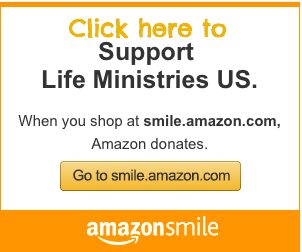 He purposely stacks the deck against any legislation that is aimed at protecting innocent human life in the womb, and as a result, circumvents the democratic process of allowing these bills to go to the Senate floor for an up or down vote. Fr. Stephen Imbarrato is urging everyone who is Christian and Pro-Life in New Mexico to be sure to get out and vote for pro-family, pro-marriage, pro-religious liberty, and pro-life candidates on November 8th. In fact, The Protest Priest already cast his vote! In addition, Fr. Stephen Imbarrato: The Protest Priest is urging clergy to publicly announce who they are voting for in the general election versus Donald Trump and Hillary Clinton…and WHY! ALSO VOTE NO ON THE 95$ MILLION UNM MILL LEVY TAX! WHILE THEY ARE KILLING INNOCENT BABIES UNM DOESN’T NEED ONE MORE PENNY OF OUR TAX DOLLARS!